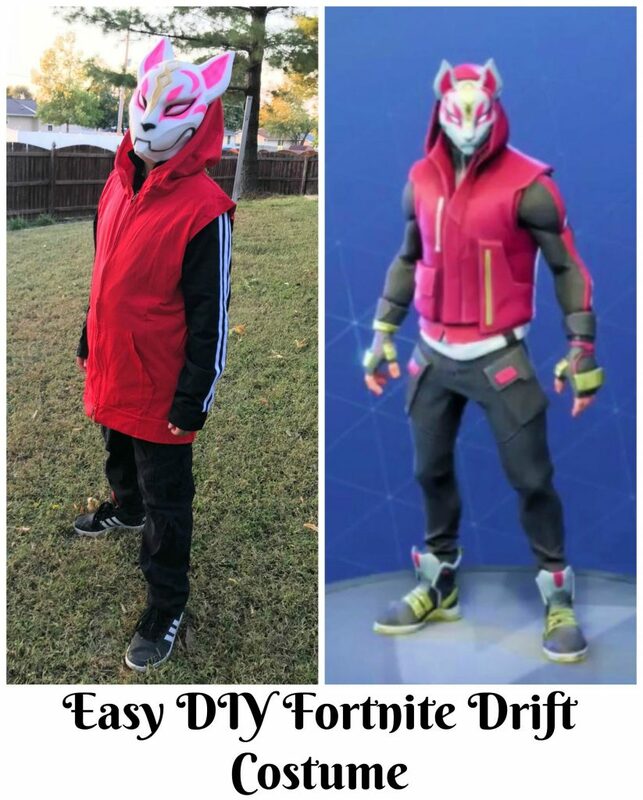 Easy DIY Fortnite Drift skin costume, perfect for a Halloween costume or Fortnite Drift Cosplay! I guess you can call it cheating a bit, since I bought the mask and hoodie off of Amazon but I did say it was an EASY costume to put together and I even have links for you below!! Make sure to check back next week, I will have MORE Fortnite Skin Costumes coming because our entire family plans on dressing up as Fortnite skins for Halloween!! Can you guess which skin I play on dressing up as?